Celebrities from all walks of life sports, movies, music, films and fashion have to outsmart time and challenge their body to get ever so well defined physique. Women Fitness team after a tiring run against time was able to get few celebrities speak on how in spite of their busy schedule they manage to stay fit and lean. “Test, evaluate and readjust your training based on what you see in the mirror, not on what is weakest.” says Alina Andrews, winner of Miss Galaxy Universe (Fitness) in her recent interview to Women Fitness. 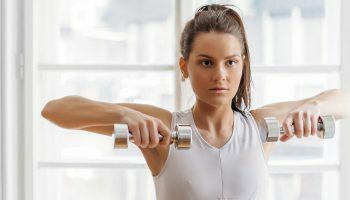 What this means that even though you might think your bicep curls are a little weak, if in the mirror it’s your triceps that are a looking small and out of balance then you must focus on these and not your biceps. Strike a balance of exercise and diet that you can sustain all year, every year. Sure this requires hard work and commitment, sometimes you are tired, but that’s just life. However if those feelings come in too often then you know the balance isn’t quite right so something needs changing, are the words shared by Alina Andrews, Miss Galaxy. Use lighter weight and many repetitions: Yes you can tone with light weights better than heavy because high reps is similar to cardio and the after burn effect does burn fat. Lifting lighter weights, also builds muscular endurance, far more so than grunting through fewer repetitions with heavy weights, and results in less risk of muscular injury. As a bonus, completing more repetitions with lighter weights also results in “a greater amount of total work” per session, meaning more calories burned than fewer repetitions with heavier weights. Adjust your workout routine to your work profile: Khatuna Lorig, no.1 women Archer from US keeps herself fit by focusing on upper body workouts to cope with her job pressure. Dumb bells and free weight with low weight and many repetitions. Add Variety to speed up progress: “I am a big advocate of variety. I believe doing the same routines or the same exercises delays progress. I switch things up from yoga to cardio, to weight training to pilates. It also helps me to stay interested in the gym. ” states Blair O’Neal, a leading golfer and a model. She has been named by Sports Illustrated as “One of the Hottest 50 Athletes of All-Time. Same words are shared by Carli Lloyd, two-time Olympic gold medalist in professional soccer” I do a variety of different things to continuously build my fitness levels. I’m constantly working at my aerobic power, non-aerobic power and strength and power doing body weight exercises. I also spend countless hours stretching. Over 50% of my training load is fitness related.” Hofit Golan, an accomplished media personality believes in, Keeping active as often as possible for an ultimate exercise. 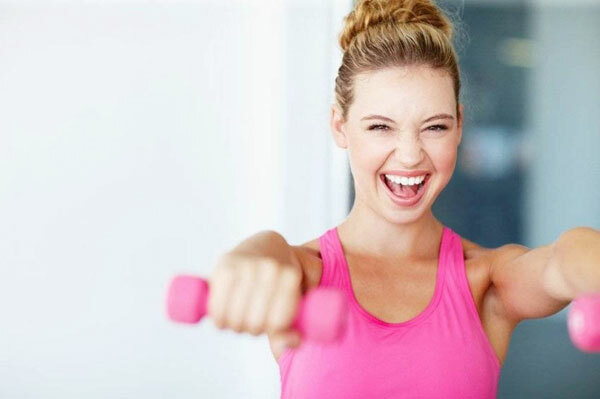 For more input on what all world’s leading celebrities do to stay healthy, fit and admirable, log on to Women Fitness Celebrities.